Challand Art rises as idea in 2015, but starts to be real in September 2016, thanks to the interest and support of Challand Saint Victor municipality for the realisation of the project conceived and proposed by Marco Della Valle. The creation of Challand Art will last three years and will be inaugurated in spring 2019. But what is CHALLAND ART? 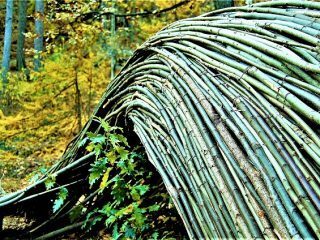 And above all, what is LAND ART? 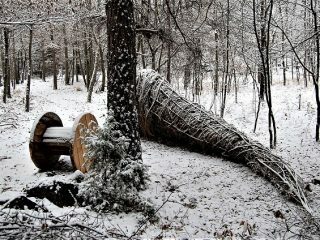 LAND ART is a type of art which works on natural or human landscape changing and transforming it in different ways. The territory, the coast, the bay, an harbour, a hill, a forest or every other place sited in our world can become or host an art work. The art is in and on the nature. The artist goes out of the traditional space of museums or art galleries and operate directly on huge territories. CHALLAND ART is sited closed to the Villa Lake Natural Reserve, in Challand Saint Victor, and goes through the track number 11, which links the lake to the Arlaz Pass, among a wonderful wood, different open and panoramic areas and spectacular heaps of stones. 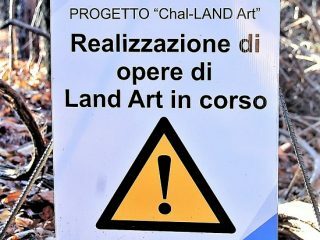 Challand Art will gather all the artists who want to create their artworks in the unic Land Art project of Aosta Valley and in the north west of Italy. Challand Art will be festival, events, music, fun, trekking, knowledge and more other. On the Challand Art track there will be 14 artworks, realised by the artists of Patta Libra association. All the works are and will be created using natural materials (earth, leaves, wood, stones, iron…) and everyone will see them on the path indicated. 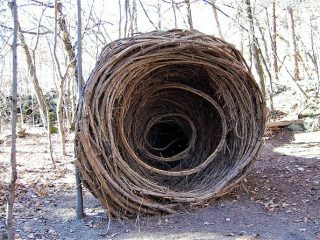 Come inside Land Art world!